Horslyx contains a large number of vitamins, minerals and trace elements and has been specially developed to keep your horse healthy and satisfied by means of a balanced diet program. The tasty and weather-resistant lick provides a natural, steady nutritional intake that the horse regulates when Horslyx is taken, which results in better digestion and less stress. Consider Horslyx as a kind of multi-vitamin tablet for horses! Every horse, from a Shetland pony to a racehorse, can benefit from this comprehensive food package and the steady diet that is promoted by Horslyx. 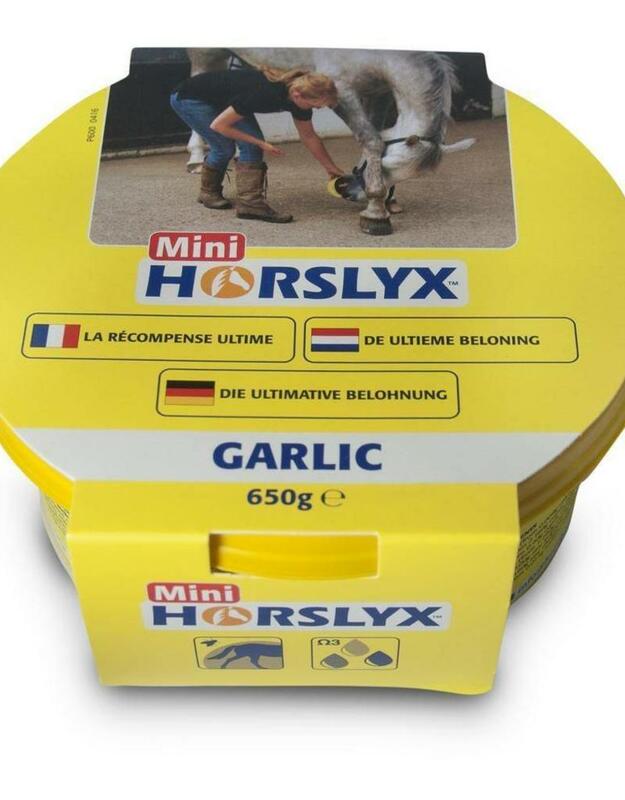 So if you are looking for a method to balance your horse's diet, Horslyx is the solution!